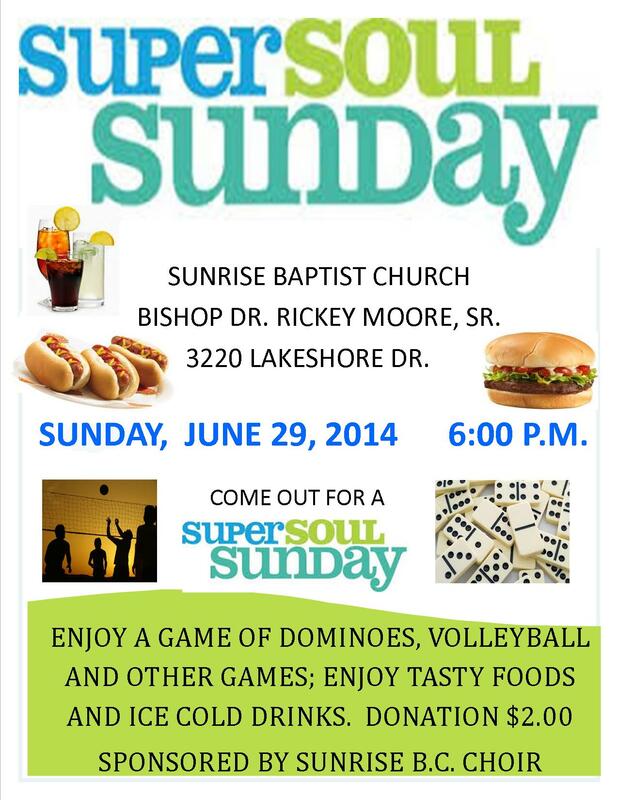 The Sound and Music Ministry will be sponsoring the first SUPER SOUL SUNDAY at Sunrise on Sunday, June 29, 2014 at 6:00 p.m. Come out and enjoy an evening of fun – volleyball games, dominoes and other activities. We’ ll have plenty of food and ice cold drinks. SUPER SOUL SUNDAY is going to be a great evening of fun for family and friends.